The Divine Mercy, the feast of Corpus Christi and the Eucharist, the Sacred Heart of Jesus, and the Immaculate Heart of Mary are all marvelously interconnected. Providentially, they are also back to back feasts on the Roman Catholic liturgical calendar. The depths of these mysteries can only be plunged in heaven. However, this article will attempt to skim the surface of these mysteries just a bit, so that you can appreciate this special devotion in a deeper theological way. 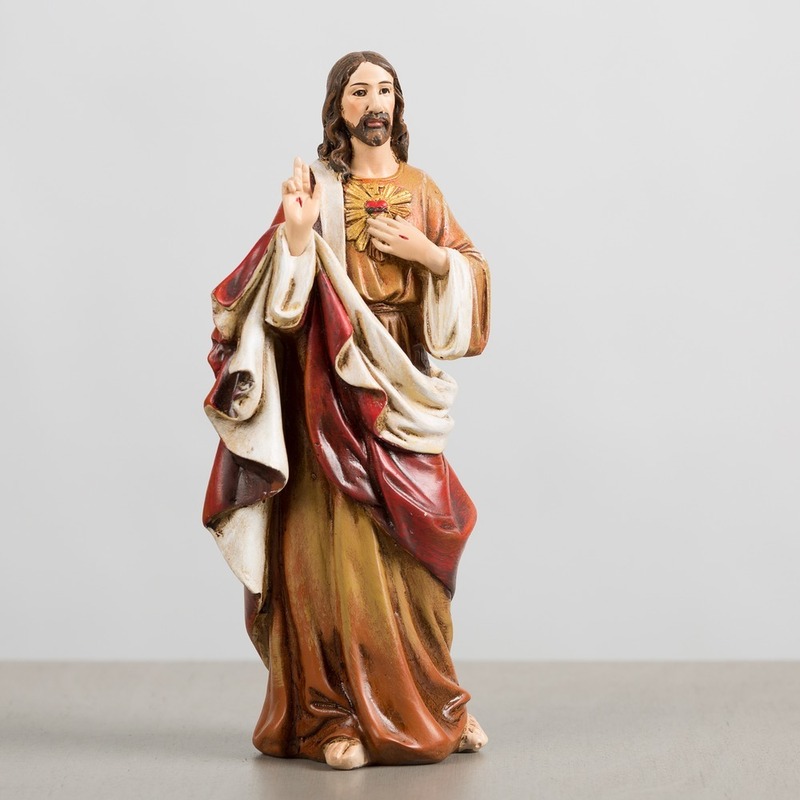 The devotion to the Sacred Heart of Jesus has its roots all the way back to the time of the Apostles, and arguably even before this in the Song of Songs penned by Solomon. St. John the Evangelist is the Apostle associated with the Sacred Heart devotion because, one, he was known as the disciple whom Jesus loved; two, he was called the “Apostle of Love” due to the theme of love repeated in his Gospel and epistles; and three, because he had the special privilege of reclining on the chest of Jesus at the Last Supper (the significance of which will be discussed below). In the Middle Ages the heart of Jesus became a specific object of adoration as the center and wellspring of Jesus' passionate and infinite love for us. The Sacred Heart also represented Jesus' woundedness, both the physical wound incurred to his physical heart on the cross (by the centurion's spear), and the spiritual wound of a love so great that he gave up his life, even while this love is scorned by those for whom it was so generously given. A devotion to the Sacred Heart was thus twofold; one, it adored the infinite and self-giving love of Jesus, and two, this adoration was given to Jesus' heart in reparation for the disdain, rejection, and coldness his loving heart endured from others. In possession of a copy of the beautiful “Vitis mystica”, two 12th century Cistercian visionaries named St. Gertrude the Great and St. Mechtilde were known for enjoying mystical experiences with Jesus and his Sacred Heart. St. Gertrude the Great, who perhaps enjoyed the more profound intimacy of the two, had a mystical experience on the feast day of St. John the Evangelist in which she was granted the grace to rest near the living heart of Jesus. St. Gertrude experienced the exquisite and divine beatings of Jesus' heart and wondered why St. John, who had also reclined on the heart of Jesus at the Last Supper, had never written of his experience. St. John appeared to her in a vision and replied, "Yes, I heard them, and my soul was penetrated with their sweetness even to its very center” and explained that he did not write of this because, "My mission was to write of the Eternal Word . . . but the language of the blissful pulsations of the Sacred Heart is reserved for latter times, that the time-worn world, grown cold in the love of God, may be warmed up by hearing of such mysteries." "I salute thee, O Sacred Heart of Jesus, living and vivifying source of eternal life, infinite treasure of the Divinity, ardent furnace of Divine love; Thou art the place of my repose and my refuge. Enkindle in my heart the fire of that ardent love with which Thine own is all inflamed; pour into my heart the great graces of which Thine is the source, and grant that my heart may be so closely united to Thine, that Thy will may be mine, and that my will may be eternally conformed to Thine, since I desire that henceforth Thy holy will may be the rule of all my desires and all my actions. Amen." Four centuries later in 1673, Jesus appeared to St. Margaret Mary Alacoque, showing her a vision of the now famous image of his Sacred Heart surrounded by flames of love. He said to her, "My Heart is so full of love for men that It can no longer contain the flames of Its burning love. I must discover to men the treasures of My Heart and save them from perdition." 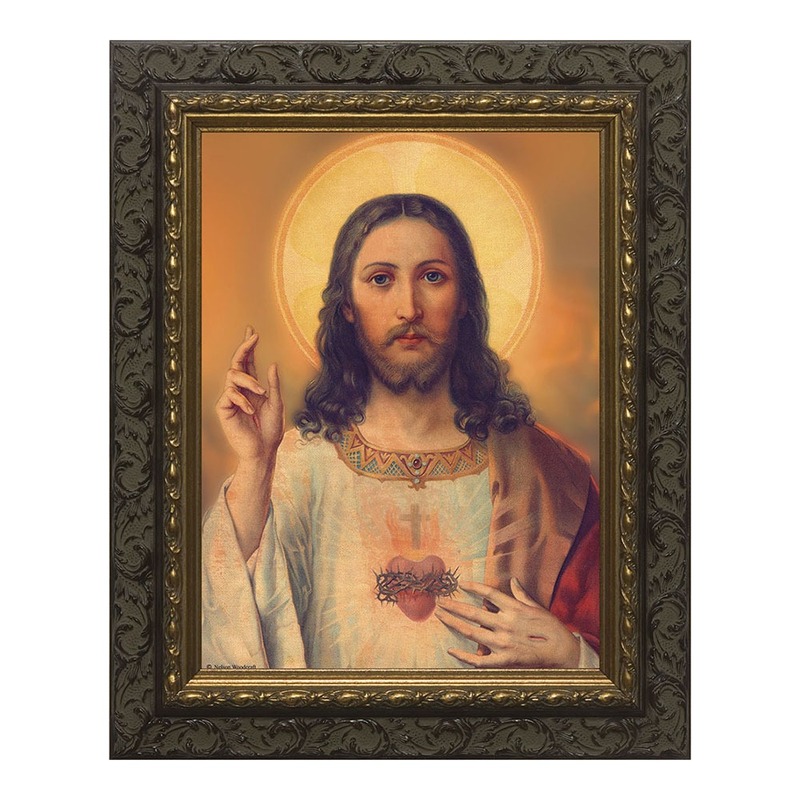 Although the Sacred Heart devotion was devoutly practiced by many saints and religious in the previous centuries, it was not yet widespread throughout the universal Church. This was the special mission given to St. Margaret Mary; to her Jesus revealed his desire for a stronger, increased, and widespread devotion to his Sacred Heart. St. Margaret Mary Alacoque, just like St. John and St. Gertrude, was allowed in a mystical vision to rest her head upon Jesus' heart, again on the feast day of St. John the Evangelist. Thus Jesus revealed that in addition to his love, it is devotion to his heart of flesh, his physical beating heart, that he desired to be propagated. 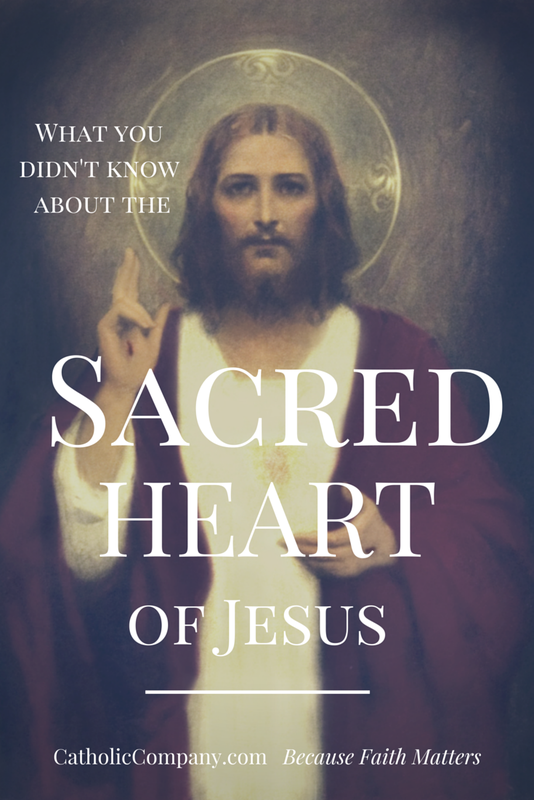 In part two of this blog post, we will see that the Sacred Heart of Jesus devotion is closely connected with the Blessed Sacrament. Finally, on June 11, 1899, by order of Pope Leo XIII, at the request of Jesus all mankind was solemnly consecrated to His Sacred Heart. Pope Leo XIII called this event "the great act" of his pontificate. Continue reading Part Two HERE about the connection with the Divine Mercy, the Holy Eucharist, and the Immaculate Heart of Mary. This is wonderful and surely i will tell and share with a friend. Thak you for your beautiful article and encouragement. As a convert, I thank you and bless you for providing such accurate, traditional, information. May Jesus keep us all in His Sacred Heart. As children growing up in Portland Maine in the 1940's and 50's we were fortunate enough to have The Sisters Mercy as our teachers. They lovingly taught us our Catholic Faith, of Jesus and Mary, of the Sacred Heart of Jesus and His message to Saint Margaret Albacore. And to this day I honor and spread the devotion & message of the love Jesus has for us through this timely devotion. "O Sacred Heart of Jesus, I implore, that I may love Thee more and more." I would like to be amember of the Secred Heart and mails and aptay of the Secred Heart. In June of 2016 my friend invited me to a retreat of Sacred Heart of Jesus, in Calfornia. Father Berry was giving the retreat. After the consecration to the Sacred Hear of Jesus. On the Sunday after Mass I went home cut open a watermelon to my surprise a big piece shape in a formed of a heart pop out "Wow" I immediately kneeled and thanking The Lord for manifesting in my life. He is wonderfull I love him ,so much!! I say this prayer whenever I enter a church and kneel to pray.....O Most Holy and Sacred Heart of Jesus, fountain of all holiness, I love you, I adore you and with a lively sorrow for my sins I offer you this poor heart of mine. Protect me against danger, console me in my afflictions, assist me in all my temporal needs, grant me health of body, your blessings on all I do and the grace of a holy death. Amen We need this devotion to the Sacred Heart today more than ever. Lord have mercy on our broken world. I desire to read anything that will strengthen my faith and help fill my heart with love for the Sacred Heart of Jesus. I need help because I am old now and let too many years slip by without living my baptised Catholic faith. Please pray for me that I will again receive the holy eucharist and continue to on a regular basis. Thank you for this article, Gretchen! It was enlightening indeed! One of our family friend son's name:BABJI, RCM boy came forward to marry me but he is in little confusion about the society & also properly not settled in JOB. Kindly pray for us, & also bless us( Sunitha & Babji) to step together in life without any struggle Since he his so caring to me, iam also very much interested in Babji.